Storms are moving into the North Texas area with the potential for heavy rain in some areas. Aviation warnings have been issued by the National Weather Service for both Dallas and Tarrant counties due to possible lightning strikes. View all warnings here. NBC 5 radars show storms heading from the northern counties southward toward Dallas and Fort Worth. Click here to view radars and maps. 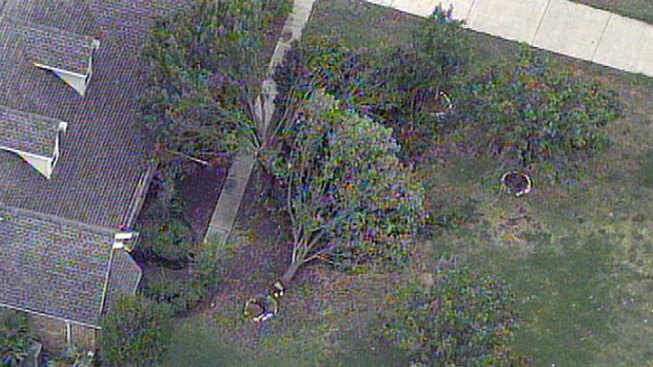 Some storm damage was seen by Chopper 5 in the northern portions of our viewing area. Damage was reported in Prosper and Krum. The storms knocked out power to hundreds of customers in Denton and Collin counties. Click here to see the current reported outages from Oncor. Viewers can expect updates from NBC 5's First Alert Weather team on-air and on-line via Twitter @NBCDFWWeather. Mobile users can track the weather anytime with NBC 5's 1st Alert Weather apps. Click here for links to the iPhone, iPad, and Android apps.